If one assumes that each of the four tier III Data Centres in Nigeria have a capacity of 255 Racks, we estimate that they have less than 30% occupancy currently. If the other four major Data Centres that are currently not certified are added, the rack capacity would increase to over 2000 racks currently available in the country. This would imply that there is currently an estimate of less than 15% Data Centre occupancy. The current capacity, if taken up, would save many businesses a great deal of expense and contribute to developing the co-location market for better services and availability. Over the last seven years, there have been talks in the press of Tier IV Data Centres to be built locally. In an environment where there is not a single Tier III operational Data Centre – it sounds a very ambitious target. Currently, there are 38 Tier IV constructed Data Centres and only about 9 Tier IV operational Data Centres worldwide. 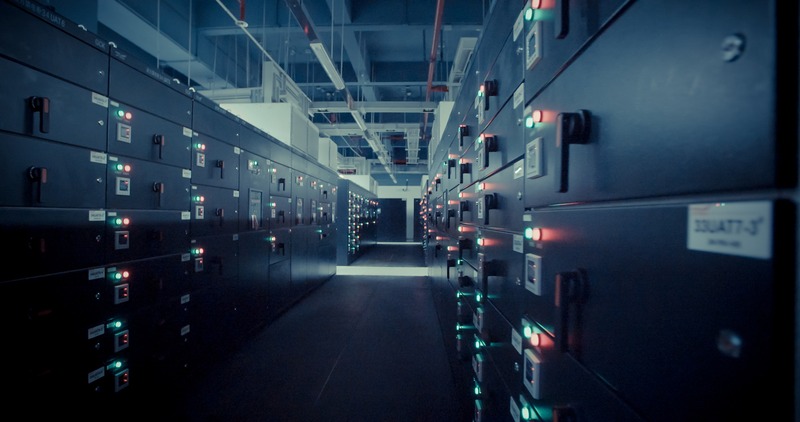 Co-locating with a Tier III certified Data Centre will achieve better stability and service delivery than is attained from their present situation. Stability in cost – no foreign exchange component. Cooling – Specialised precision cooling systems are more expensive than traditional cooling systems and they have a very high maintenance cost due to their specialised nature. Better connectivity – This is especially relevant in the disaster recovery settings. A multi-branch organisation would benefit from a data centre location as a failover to an alternative location. This is a simpler topology and is cheaper. Taking advantage of a 24/7 NOC – This effectively outsources the environmental and resource monitoring. This also contributes to lower staff cost and takes advantage of specialised data centre staff. Managed services – A more granular support than just the NOC staff. Faster reaction to system failures and restarts. Again, staff costs are lowered and specialised staff with managed services skills do not have to be in-house. Overall the shared services model adds to a drastic lowering of costs as services are delivered at a shared cost as opposed to an individual organisations cost. We are still trying to understand the benefits to be achieved with building a Tier IV Data Centre locally, perhaps this is the reason why it has not seen light of day so far. We will achieve much more by encouraging more of the other Data Centres to achieve Tier III operational status to give the community better stability and reliability for their existing infrastructure. This is evident by the number of disruptions we currently see in vital organisations like banks and telcos. This is also supported by the fact that the only Tier III Data Centre by construction has not had a single minute of downtime since inception three years ago. There is an interesting discussion raging at the moment about the Uptime Institutes 3 levels of Tier certification – Design, Construct and Operations. It is deemed unfair to offer a design certification as the Data Centre is not bound to construct to the design specification. In some quarters, this is misleading as it really does not translate to the stability or reliability of the Data Centre. In other circles, the Uptime Institute’s Tier standards is seen as confusing and complex. Our view is that any adherence to the Uptime Institute standards is a good place to start in ensuring that the Data Centre is able to host business critical applications and offers a greatly reduced risk. Outsourcing infrastructure and hosting will save organisations 40% – 70% of their total IT spend. Conversion of CAPEX to OPEX. Elimination of hardware and replacement costs. Freeing up real estate for other uses. It is important for organisations to seriously consider the outsource model. They need to stop the CAPEX model which is not sustainable, and start to drive the OPEX strategy. It will provide more agility and achieve more in a climate of reduced revenue and increased competition.